77 days. (Indeterminate) [WV family heirloom from before 1948, originally from Italy. 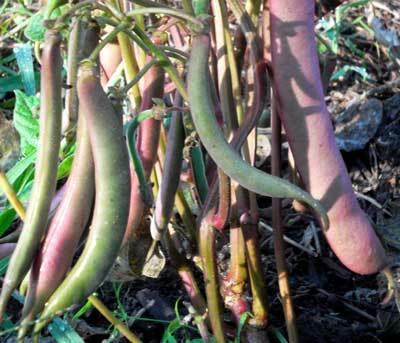 Introduced by SESE 1983, named for “Tappy” who selected for regular shape, small cores, few seeds, and fine flavor. The first heirloom tomato SESE introduced.] Performs best where summers are moderate to cool. Large, pink-red fruits average 14-16 ozs, sometimes up to 2 lbs, and are very meaty. Slightly irregular fruits are somewhat flattened with prominent shoulder indentations. 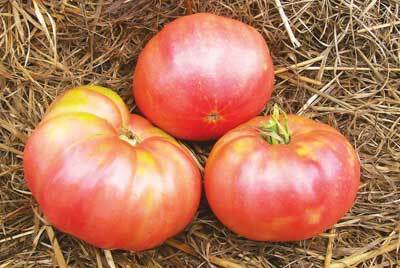 Excellent tomato for processing or for use in salads or sandwiches. Also makes delicious tomato juice. Like all sweet, good-flavored tomatoes, it's not a heavy producer, but has won several flavor trials. Pkt (0.16 g).